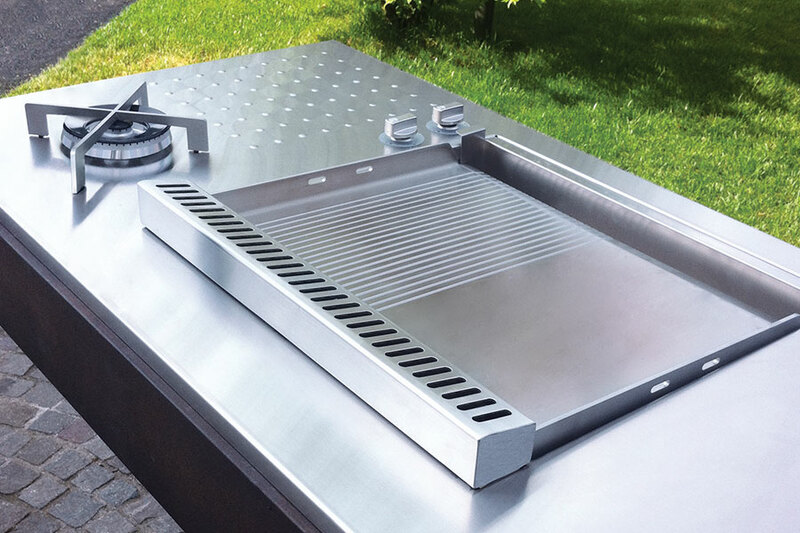 We have been manufacturingstainless steel cooktops for outdoor cooking since 2005. 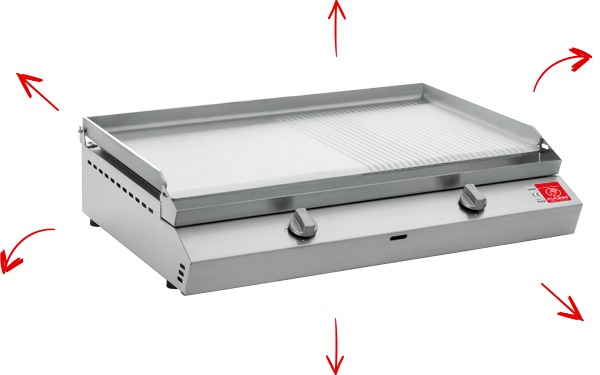 Called Plancha in Spain and France and Teppanyaki in Japan, the PLA.NET cooktop is not a traditional barbecue but a stainless steel gas or electric surface that can be used outside and that heats up quickly, allowing to cook healthy and tasty foods without smoke and while protecting the environment. The cooktop heats up quickly and the food is cooked in a few minutes. Different types of food can be cooked at the same time, thus preserving the flavours. Anti-bacterial stainless steel, easy to clean surface. Cooking on the plate prevents flames and carbonised food. Any type of food can be cooked, without the use of additional oils or fats. 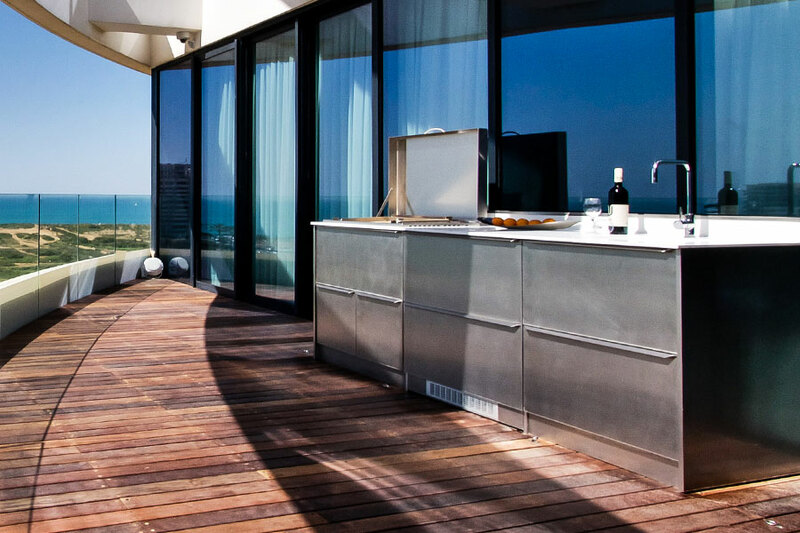 Made in Italy, in stainless steel, according to the highest quality standards. 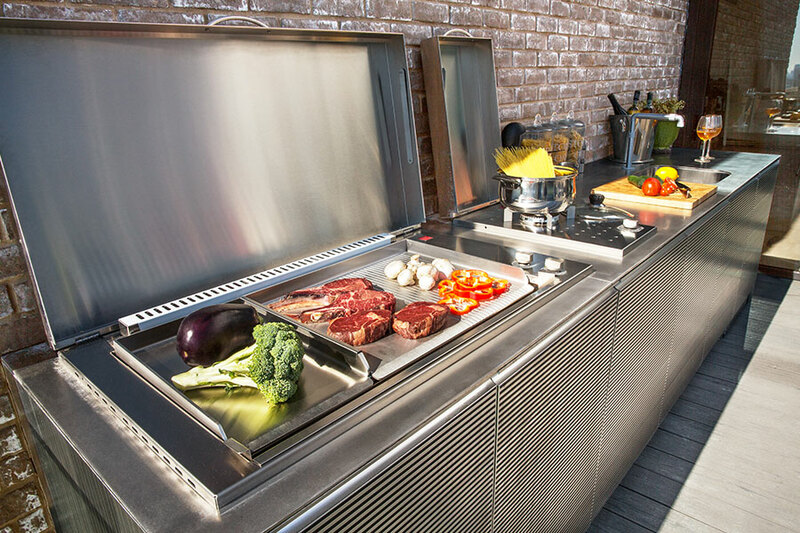 You can build your barbecue thanks to the wide range of cooking surfaces and matching accessories.